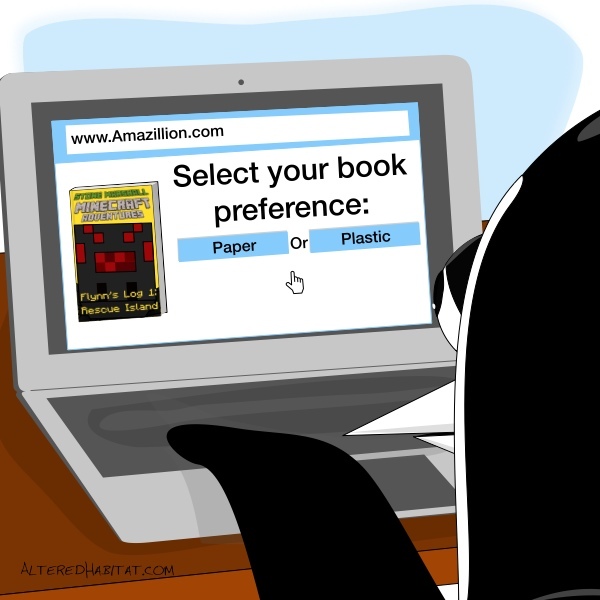 Misplaced penguin adapts to an altered habitat. 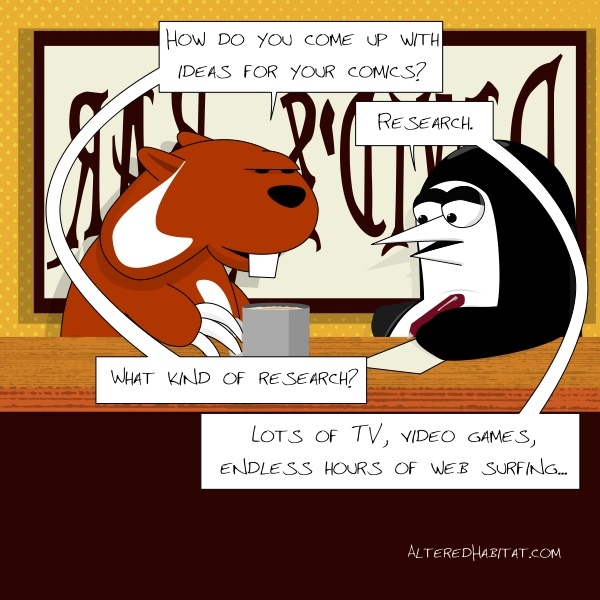 Ideas come from the laziest moments. 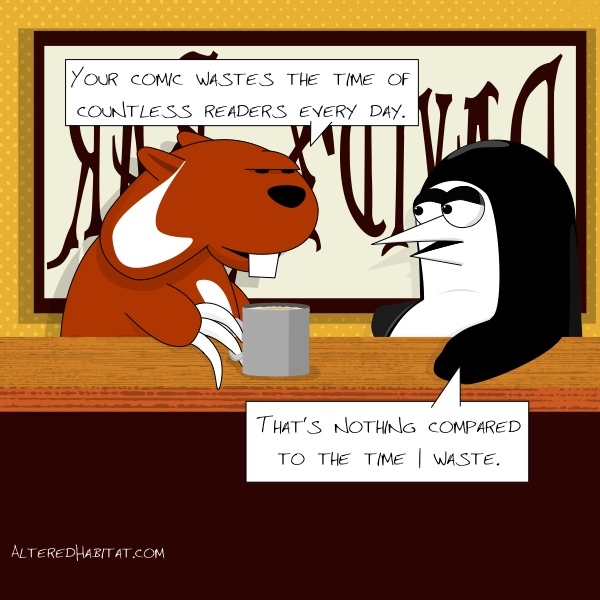 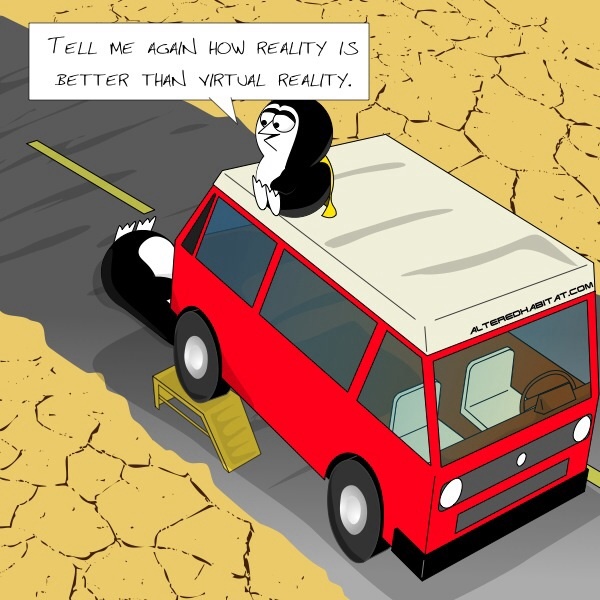 What’s the point of webcomics? 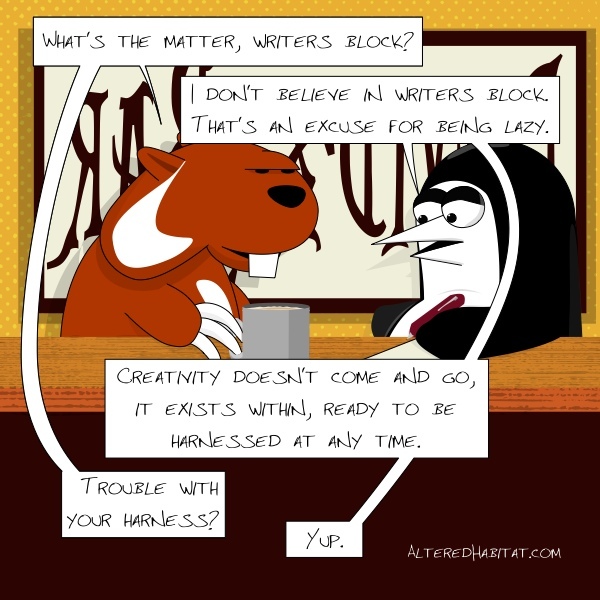 Writers block is an excuse for being lazy. 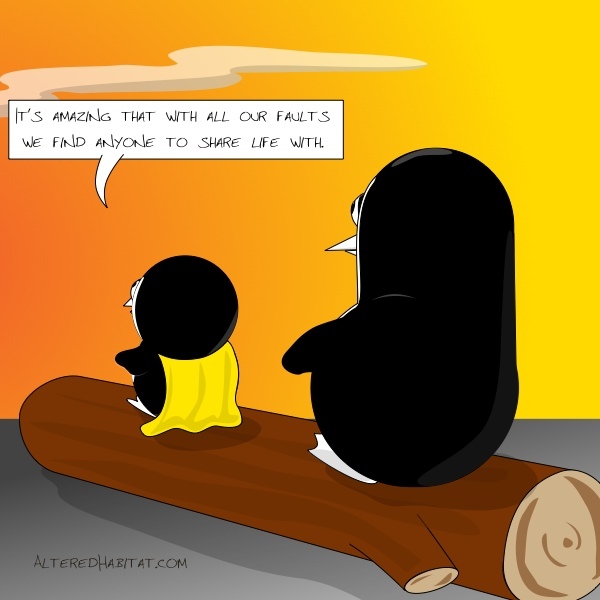 It’s amazing that with all our faults we find anyone to share life with. 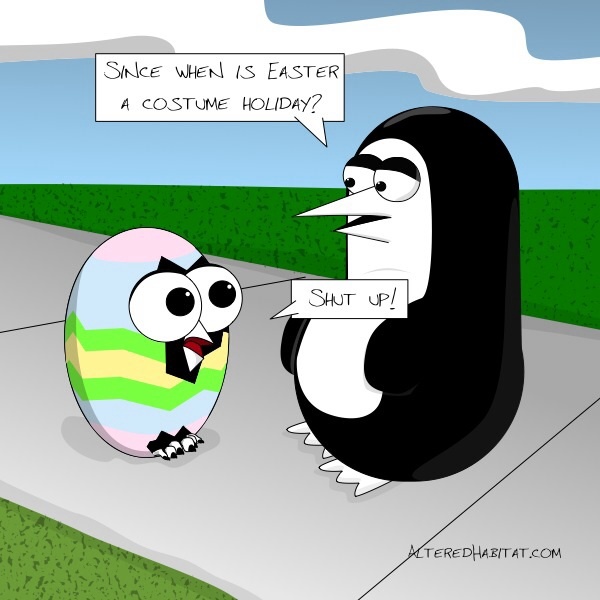 Who would dress Angry Egg in an Easter costume? 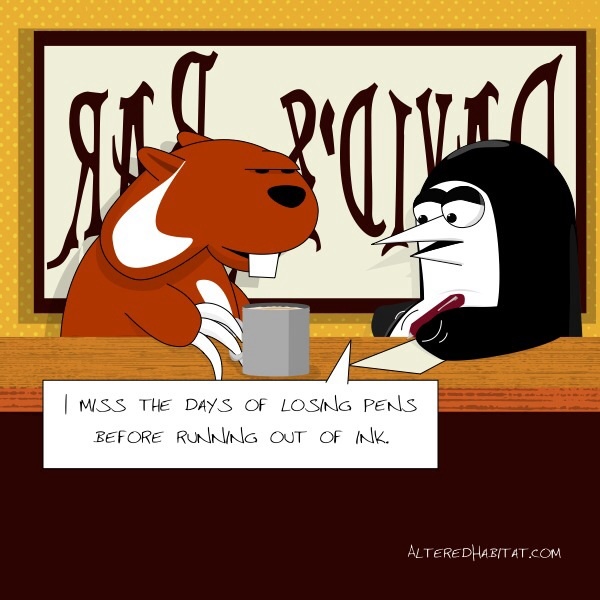 For the longest time, pen ink was endless. 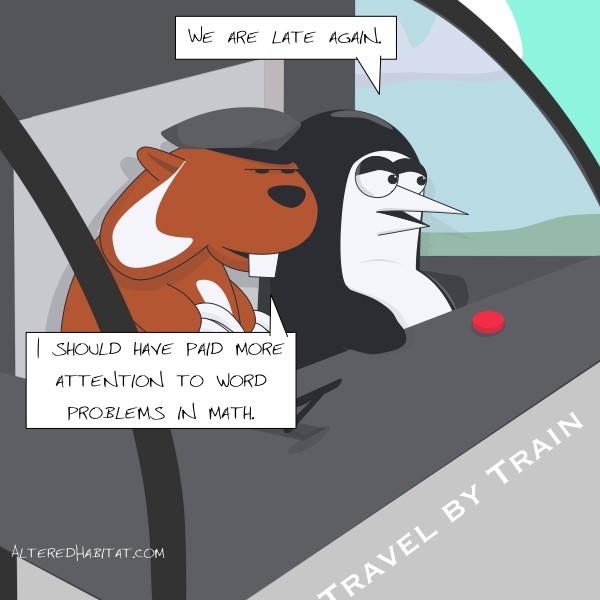 If a train travelling at 60 miles per hour is engineered by a Woodchuck, how late will the train be? 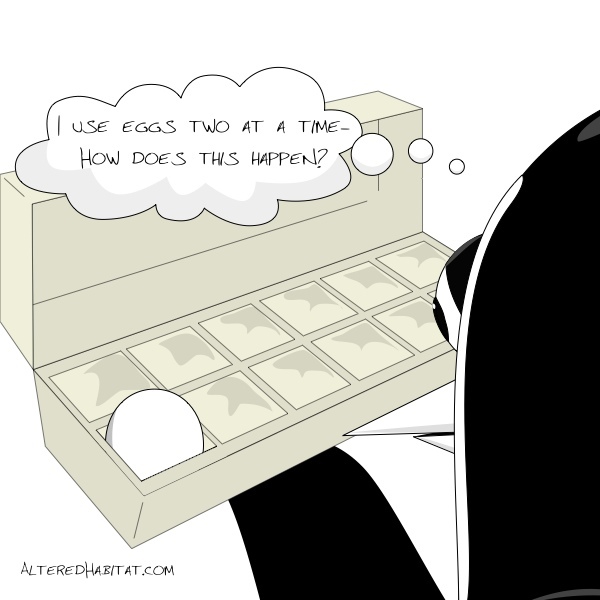 Seriously, how do evens turn to odds?